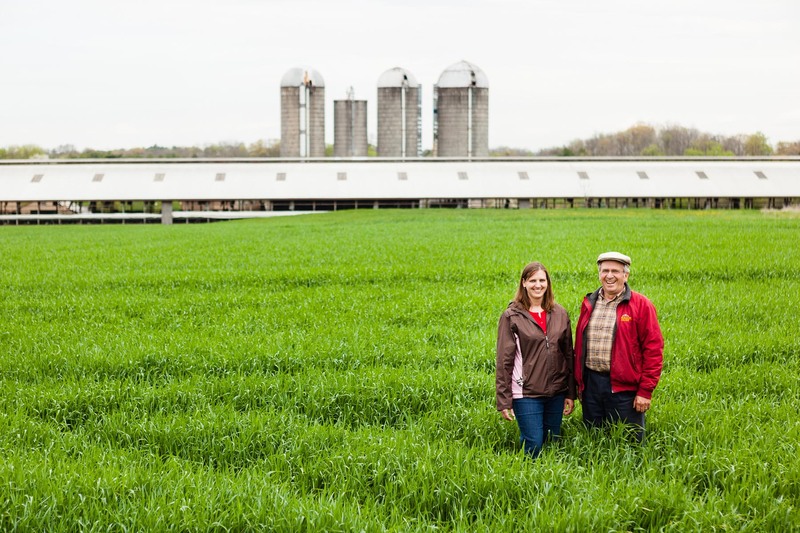 Maria Forry and her father George Hurst, owner of Oregon Dairy Farm in Lititz, Pa., pose in one of their fields on May 2, 2015. Oregon Dairy Farm, which composts food waste and cow manure, utilizes cover crops, and powers the entire farm with a methane digester, was named as a 2015 U.S. Dairy Sustainability Award winner. 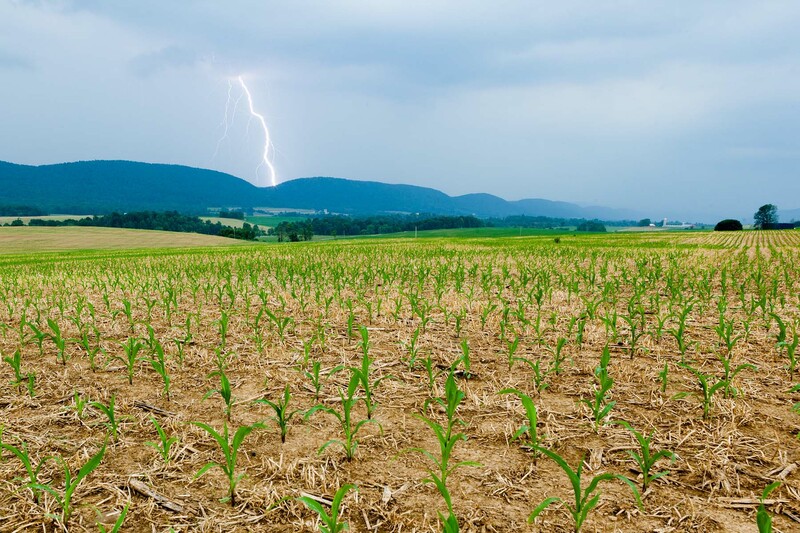 Rich soil and a mild climate have made the lands of Lancaster County, Pennsylvania, a haven for agriculture. 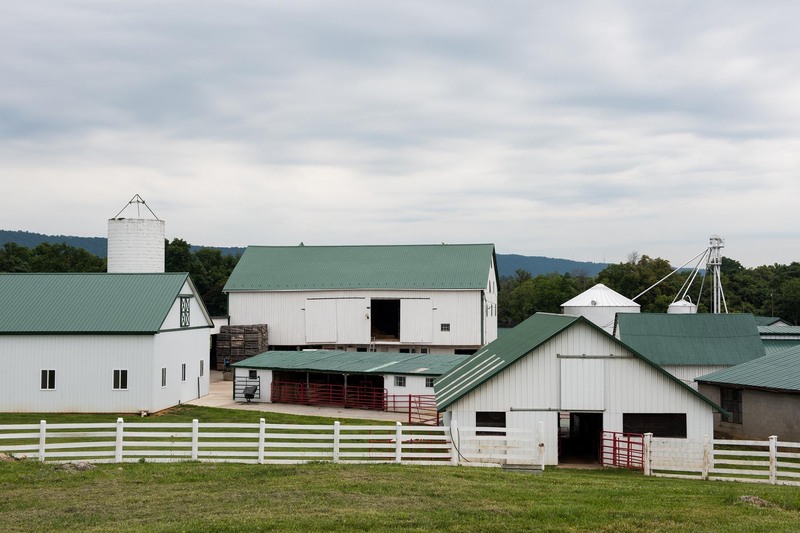 Thousands of farms—more than any other county in the state—dot the landscape of gently rolling countryside. Traveling through the region, the fields and fences, barns and silos can begin to blur together. But venture onto the land itself, and each tract of farmland tells a unique story. 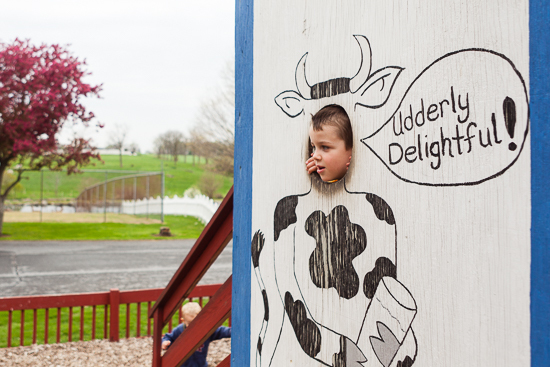 For Oregon Dairy Farm in the heart of Lancaster County, the story is one of family, conservation and community. Pennsylvania is second in the nation for number of dairy farms, outranking every state except Wisconsin. And that number continues to grow: in 2014, Pennsylvania was the only state in which the number of dairy farms increased. Though this may be good news for ice cream lovers, it can sometimes be difficult to reconcile agricultural growth with the health of the Chesapeake Bay, as agriculture is the single largest source of nutrient and sediment pollution entering the estuary. But for the Hurst family, protecting the Bay is an important part of the way they run their farm. 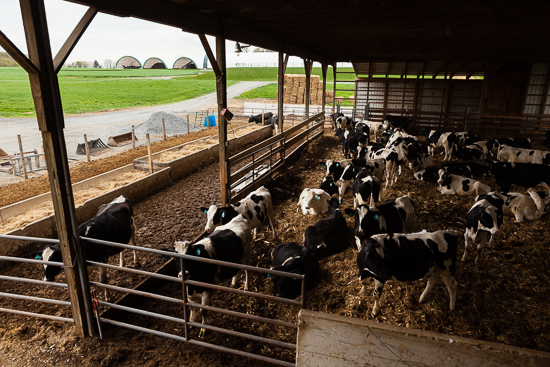 Holstein cows rest in a pen at Oregon Dairy Farm in Lititz, Pa., on May 1, 2015. 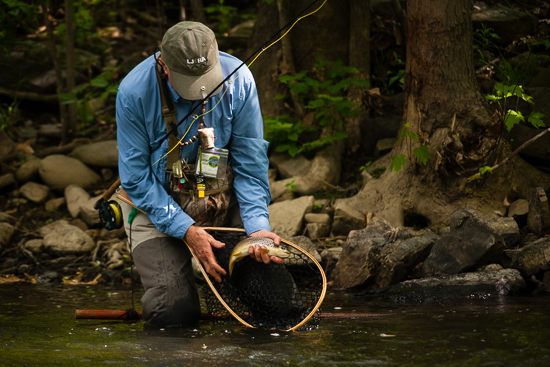 Those practices include a variety of “best management practices,” or BMPs—conservation methods that can help curb nutrients and sediment from running off agricultural land and into rivers, streams and the Bay. To protect the health of waters running through their land, the Hurst family practices no-till farming, uses cover crops, plants trees and shrubs to prevent streambank erosion and has installed fencing to keep livestock out of waterways. Compost piles rest at Oregon Dairy Farm in Lititz, Pa., on May 1, 2015. As home to 500 cows, one of the farm’s biggest challenges was figuring out how to manage all the animal waste. “Because we’re a dairy, there’s lots of manure,” Hurst explained. According to estimates from the U.S. Environmental Protection Agency (EPA), livestock waste accounts for 19 percent of the nitrogen and 26 percent of the phosphorous entering the Bay. These excess nutrients can fuel the growth of algae blooms that block sunlight from reaching underwater grasses and, during decomposition, rob the water of oxygen that plants and animals need to survive. To avoid nutrient runoff, Hurst puts as much of this waste to use as possible. A methane digester collects and heats the manure, and the resulting methane gas powers a generator that produces more than enough electricity to run the farm. 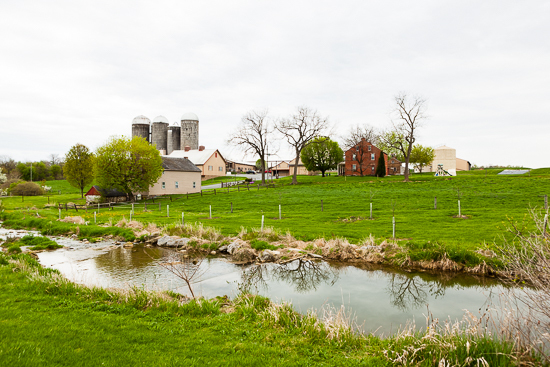 Young planted trees line a stream running through Oregon Dairy Farm in Lititz, Pa., on May 1, 2015. After traveling through the digester, solid and liquid wastes are separated. Solid waste can be dried and used as livestock bedding or transported to the on-site composting facility. Three large hoop buildings house the compost piles, which will eventually be sold wholesale to landscapers or in Oregon Dairy’s retail lawn and garden store. Liquid waste flows to the lagoon, which holds about an eight month supply, allowing it to be applied to the land when the fields need it and will absorb it. “We make sure we aren’t putting more manure on than what will stay in place, and no more than what the soil needs or what will be taken up by the crops,” said Hurst. 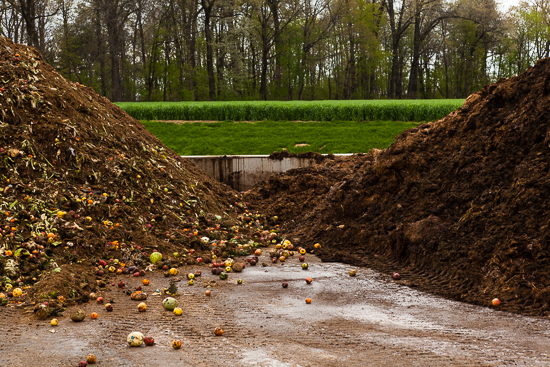 These innovative waste practices helped the farm win a U.S. Dairy Sustainability Award in 2015. Aslan Umble, 4, of Lancaster, Pa., plays on a playground at Oregon Dairy Supermarket with his brother Kai Umble, 7, and father Ryan Umble on May 1, 2015. Since the 1980s, outside dairy farmers, school field trips and other community members have been welcome to tour—and learn from—the farm. School tours bring nearly 2,000 student visitors each year, and Family Farm Days events can draw upwards of 15,000 people a year to the farm. More than just a way of life, Hurst and his family see their farm as a way to teach others about how they care for their land. As a Maryland oyster farmer, I want to extend my sincerest thanks to the Hursts for their vision, dedication and the impressive efforts in improving Oregon Dairy Farm and the Chesapeake Bay. Bravo!